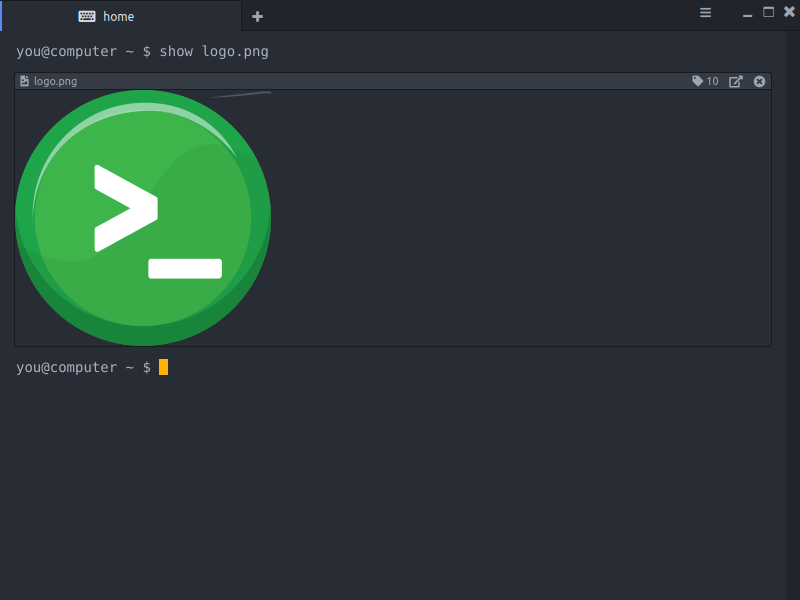 Extraterm is a open source terminal emulator which aims to add many new features to bring the traditional terminal into the modern era. Extraterm also supports tiling and panes, text size scaling per terminal session and color emoji on all operating systems. Extraterm is designed for keyboard use first. 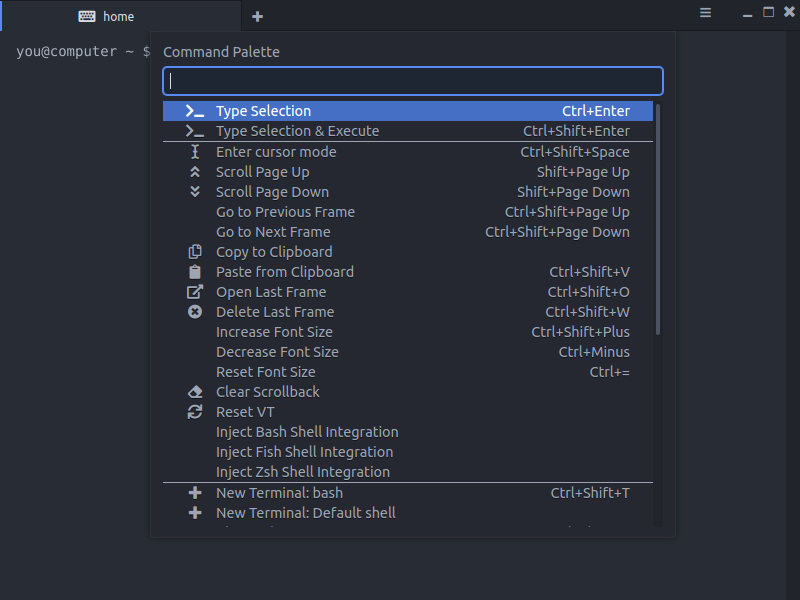 The Command Palette makes it easy to find and execute any command without leaving the keyboard. Extraterm supports directly viewing richer content than just text. Works across ssh too. Use the shell integration to unlock Extraterm’s power. Command output is clearly marked and return status of commands is clearly visible. Interesting command output can be put in its own tab, or just delete it directly. Bash, zshell and fish are currently supported. Extraterm features a powerful keyboard based cursor mode. Copy and paste without having to leave the keyboard. 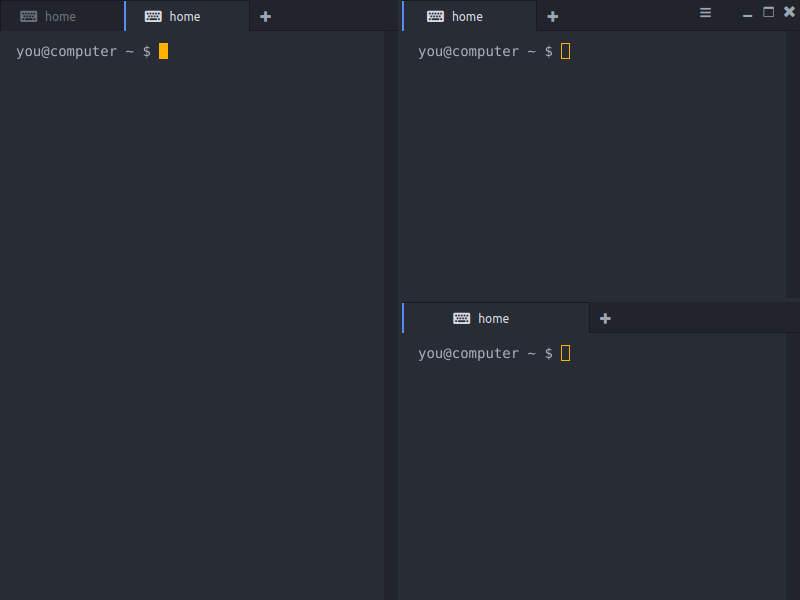 The “from” command lets you use previous command output as input for terminal commands. This enables new fast “ad hoc” workflows. Or you can edit the command output directly in place and execute the selection with Ctrl+Shift+Enter. 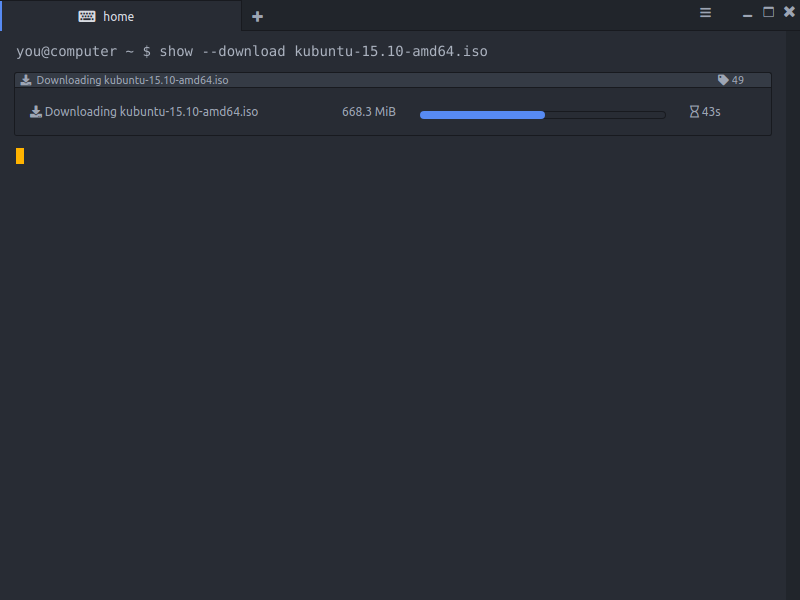 The shell integration makes uploading and downloading files easy without requiring additional tools. It works transparently across SSH too. Backwards compatibility with the decades of existing terminal based applications and your decades of workflows and habits is very important. Extraterm supports your existing applications and doesn’t require you to change your habits.